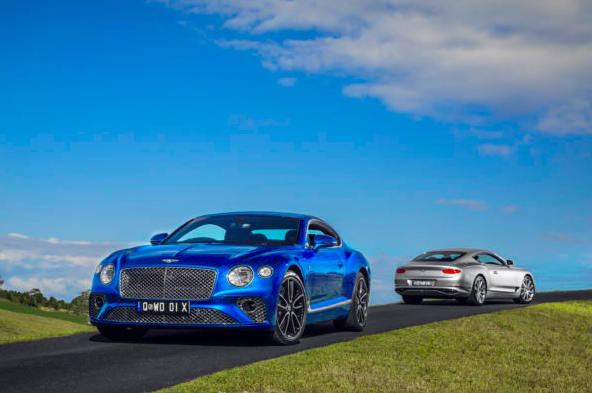 ASIA PACIFIC LAUNCH OF THE NEW CONTINENTAL GT; BENTLEY’S LATEST CREATION SETS NEW STANDARDS IN LUXURY GRAND TOURING Posted on 09 October 2018. Bentley’s most recent addition makes its anticipated Asia-Pacific debut in Australia’s Gold Coast. As predicted, the redesigned third-generation Continental GT exudes style and sophistication from boot to bonnet. 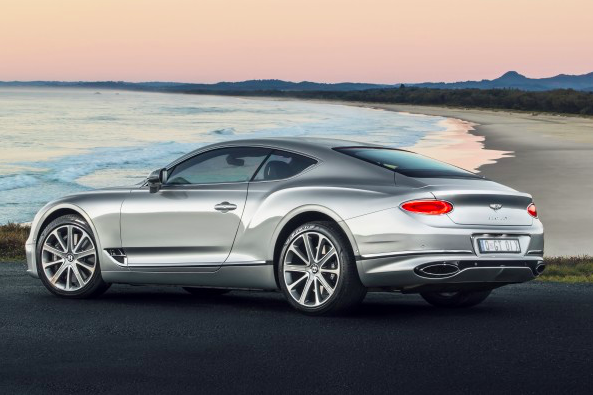 In every possible facet, Continental GT is a toast to the past, present and future. The charming automobile pays homage to Bentley’s defining values of luxury and elegance whilst celebrating leading technologies as it gears up to celebrate its centennial anniversary. Having appeared globally since its first launching at the 2017 Frankfurt motor show, the Continental GT has remained at the forefront of high culture – achieving a perfect balance between luxurious design and top tier engineering. Most recently, the innovative Continental GT received the prestigious German Design Award in September of this year, for best ‘Interior’ and ‘Exterior Premium Brand,’ an incredible feat for the respected British brand. Speaking at the motor show, Chairman and CEO, Wolfgang Dürheimer said, “today is a defining moment for Bentley Motors…we build on our recent success story and look to the future with a new car that will set new standards in luxury grand touring”. The contemporary Continental also holds semblance to its 1952 R-Type counterpart, evident in its muscular rear hauch and slicked roof line. Albeit longer (4.85m), wider (2.2m), economical and a touch more seductive. The twin-turbocharged, W12 engine requires 6.5 hours of assembly by hand to deliver a perfect amount of sport umph. Emerging after a 15 year hiatus from its successful predecessor, Bentley’s Continental GT emerges lighter and faster (top speed of 333 km/h) than ever. The sleek all-aluminum body borrows an aerospace technique called superforming. The process involves heating aluminum to 500°C allowing for a more complex, and deeply defined frame – making the Continental GT the first car to use superforming techniques in its entirety. Bentley revolutionises with Danish brand Bang & Olufsen, delivering a sound-breaking BeoSonic interface.The integrated system is designed to adjust volume and pitch according to existing sounds and prefered mood, cleverly paired with “noise-cancelling” tyres, the new Continental offers a bespoke audio experience like no other. Opulence seeps into the crystal cut glass used for both rear and headlights. This miniscule attention to detail enhances illumination and adds a three-dimensional depth to the handsome automobile. Partnered with the avant-garde exterior is an equally sophisticated interior. Crystal cut glass is repeated around the console, seamlessly harmonising outside and inside spaces. Other features that add to the James Bond aesthetic include an impressive 31.2cm touchscreen which revolves to reveal three elegant analogue dials – once again blending technology with tradition. Continental GT further exhibits a Côtes de Genève touch renowned in timepieces like that of watchmaker classic Rolex. The leather “diamond-in-diamond” hand embroidered patterns brings all these interior installments together, celebrating craftsmanship with every stitch. Book your test drive here.